A good old Moro Kampilan. 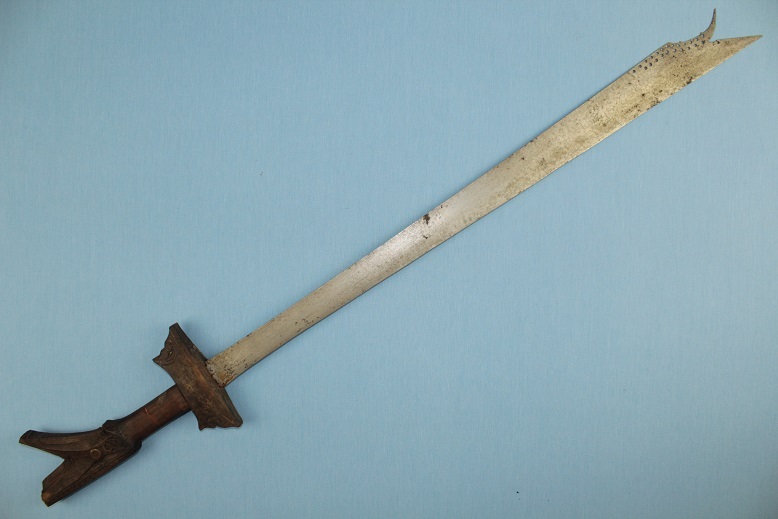 This old 19th century fighting sword is of simple form, likely once belonging to a young warrior. 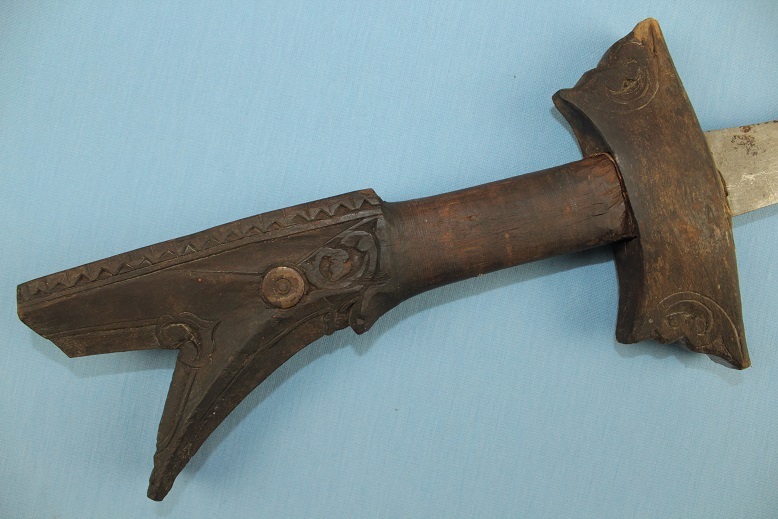 The sword's hilt is of a simple traditional carved design and lacks its original rattan or cord bound grip covering. 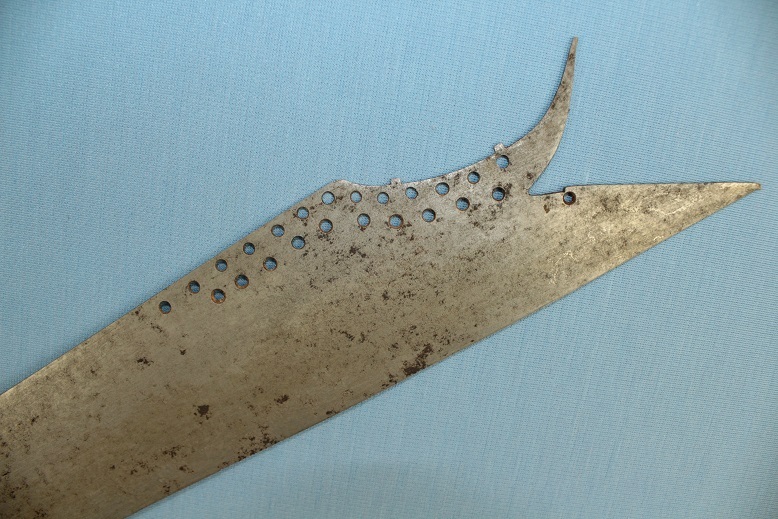 The blade is a finely forged quality example which shows nice patterning throughout its aged surfaces. The tip of the blade is a desirable type with the upturned end. It is pierced throughout the tip with 24 holes, holes which are usually bronze or copper filled. The blade remains sharp, true and shows very fine craftsmanship in these features and the distal taper. 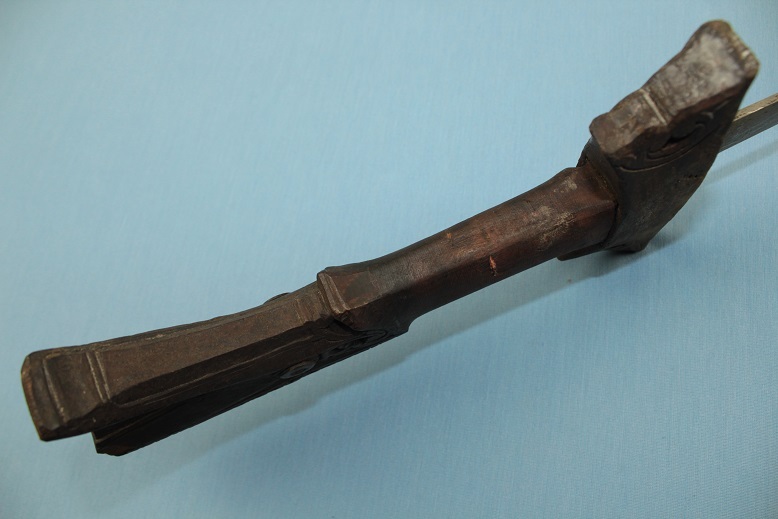 Given the simple carvings to the hilt and that the holes at the blades end are not filled, it is very likely that the sword belonged to a young warrior who had come of age and yet had the wealth to elaborate on the hilt designs or fill the plug holes. 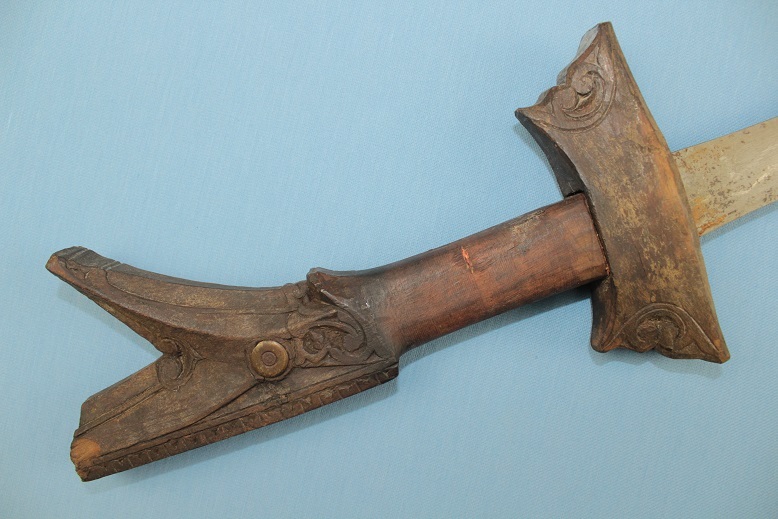 The Kampilan is 99cms long with a blade length of 73.5cms. A very good fighting sword at a very reasonable price, a sword which is fast and capable in the hand and has a very good blade. The hilt would grade up nicely with new rattan or cord binding added to the grip.